Pierre-Marie Borne, Director of Public Health, Zoonoses and Food Safety at Ceva, was recently a guest speaker at the World Conference on Quality Assurance in Veterinary Education, organized as part of the 33rd World Veterinary Congress held in Incheon, South Korea in August 2017. During his talk, Pierre-Marie explained that despite their many differences, private companies like Ceva and academic institutions such as veterinary schools have synergistic roles to play in enabling the continuing professional development of veterinarians. By working together, he suggested, the private and public sector could help enhance the veterinarian’s contribution to the important fields of food safety and security, disease control (including zoonotic diseases), human-animal relations and animal welfare. One Health means approaching things through diverse sanitary, economic and social contexts. This is the basis behind Ceva’s “Together, beyond animal health” social vision, which engages the company to do much more than simply develop effective medicines. Pierre-Marie explained to delegates how the company’s combined offer of highly-specialised tools and manuals and highly-practical training opportunities was playing a vital role in enhancing vet’s skills, knowledge and competencies, building on their initial training and professional experience. Ceva has been extremely supportive of animal welfare as well as veterinary education and I think that their approach provides an opportunity for veterinarians around the world to take their basic competencies to advanced levels and really serve public health. Thus in 2015 in Myanmar, Ceva created a training cycle for poultry veterinarians in partnership with the National Veterinary School of Alfort and the Nay Pyi Taw College of Veterinary Sciences. This training cycle gave thirty veterinarians the opportunity to acquire or reinforce their abilities to help small independent farmers better manage their farms in regard to sanitary conditions. Early results were very encouraging, and have led us to continue this type of commitment, as we did recently in Bangladesh, where malnutrition rates are among the world’s highest. It is estimated that 41% of children under five there suffer from stunted growth. Poultry production is their primary source of animal protein. 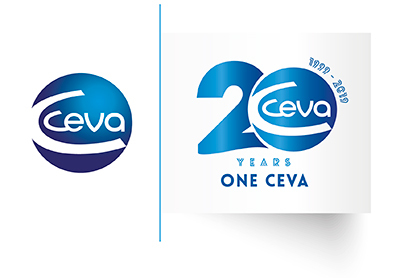 Ceva contributes its specialized technical knowledge, with a focus on practical operational and field-oriented aspects as well as its knowledge and close connections to the markets. The academic partners contribute their technical knowledge and expertise in the design of courses, content and teaching methods. They can also verify and supervise courses to ensure the quality of the training products. The end result is a much stronger, more relevant and better-quality training experience than any of the parties could provide on their own, which is pretty close to the definition of synergy given by the dictionary. Such production however is carried out in a difficult epidemiological environment, and, although the sector is organized in regard to reproduction, the rearing of broilers is mainly the work of independent small farmers, who have limited access to specialized veterinary skill in the field. To remedy this situation, Ceva, in partnership with the Bill & Melinda Gates Foundation, the National Veterinary School of Maisons-Alfort, and the College of Veterinary Medicine of the Sher-e-Bangla Agricultural University of Dhaka, decided to organize intensive courses that would combine theory and practice, while raising farmers’ awareness of livestock health management issues. The possible benefits that are emerging are quite significant, with estimates that these programs will help reduce the mortality rate of broilers, now in the range of 10 to 15%, below the 5% mark. This has been a fruitful approach, and is now to be pursued in Ethiopia, where courses will soon be offered in a partnership with the National Veterinary School of Toulouse (ENVT). Burkina Faso: where Ceva has created specialized training for veterinarians and artificial insemination technicians within the framework of the Vache du Faso project. The project aims to stimulate milk production by crossing local zebu cows with carefully selected traditional French mountain breeds and is also supported by the Bill & Melinda Gates Foundation. Europe: Ceva launched its «Guide for the Rational use of Antimicrobials» (GRAM), a practical, comprehensive, and easy to use guide to help combat the development of resistance to antibiotics in companion animals. This guide, comprising 550 pages, was developed by an independent panel of 10 experts from 7 European countries. France: A partnership with Sanders, a major French animal feed company, to develop and supply Indic@Vet, a new tool to monitor the use of antibiotics in animals and evaluate the actions taken to reduce the use of these products.